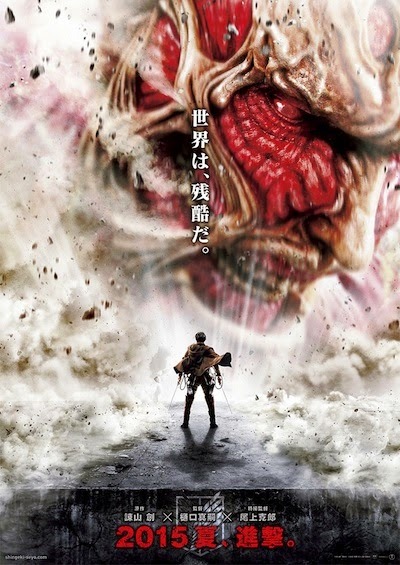 "ATTACK ON TITAN" MOVIE POSTER REVEALED! Just-revealed advance poster art's tagline, "The world is cruel." Director Shinji Higuchi's highly anticipated live action adaptation of Hajime Isayama's manga and anime series will hit Japanese cinemas nationwide next summer, with not one, but two consecutive feature films bowing in August and September 2015. Today, Toho Company Ltd., which is producing and distributing the film, has revealed the advance movie poster on their official movie website. Written by Yusuke Watanabe (20th Century Boys) and critic Tomohiro Machiyama (working with Isayama), both films will feature visual effects directed by veteran Katsuro Onoue (Sinking of Japan), and not Director Higuchi, who is supervising the entire project. Earlier this year, Higuchi teased the film with a viral car commercial featuring a tie-in promotion with the franchise, which led people to believe that he was also directing the visual effects. 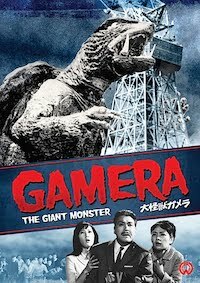 Toho's PR department also unveiled the tagline, "Its magnitude is... beyond ultra-grade GODZILLA! ", capitalizing on the successful Gareth Edwards film adaptation of the Big G, which did impressively at the domestic box office in Japan. And this hyperbole isn't all hype: The film's titular titans tower at 120-meters (390 feet), twice as tall manga and anime counterparts, while Godzilla is 350-feet high. Not to be confused with the second anime feature to be released June 26, 2015, ATTACK ON TITAN 2: WINGS OF FREEDOM, audiences will have to see how this colossal conflict between these naked gargantua and the last bastion of humanity plays out next year — will the live action films be a monstrous success or a titanic failure? My money is on Director Higuchi. UPDATED 12/11: Toho's visual effects director who forged and shaped Godzilla's look for the 1990s, Koichi Kawakita, passed away from liver failure on December 5, 2014, with the family releasing the news today in Japan. Only next of kin are allowed at the funeral (chief mourner is his widow, Shigeko). There will be public a memorial service announced for a later date. Kawakita graduated Nakano Broadcasting High School in 1960 and began his higher education at Kokusai Junior College. 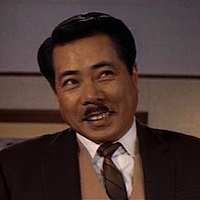 Intensely interested in movies, since seeing THE MYSTERIANS (1957), he began working a part-time position at Toho Studios that same year. Offered a full-time position at Toho, he dropped out of college in 1962. 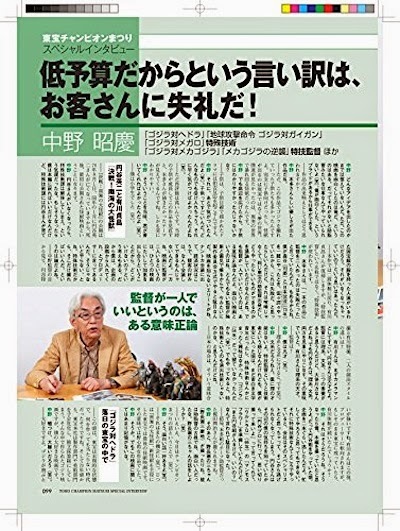 Although headhunted for an Executive position, Kawakita expressed his desire to become a member of the Visual Effects Department, and was taken under the wing of Eiji Tsuburaya, the head of that division and the father of Tokusatsu (Japanese Visual Effects). 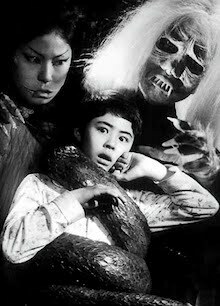 Later, that same year, Kawakita became an assistant visual effects cameraman on GORATH (1962). He was transferred to the flagging optical effects department in 1963, and became engaged in rendering the beams and other optical animation for Tsuburaya's films. 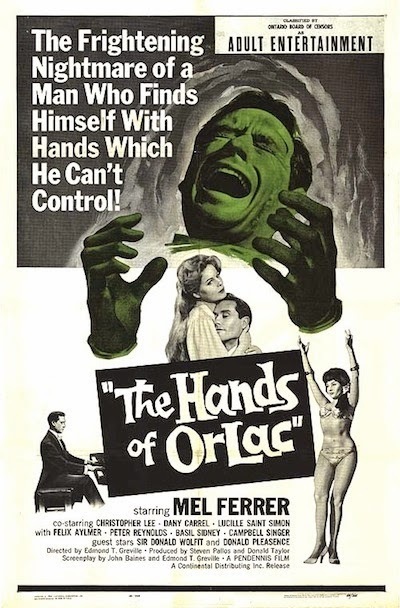 In 1965, he assisted in the creation of composites and optical effects for Episode 12 of ULTRA Q, "I Saw a Bird! ", which was his first work for a television production. In 1966, he served as an assistant visual effects cinematographer for GODZILLA VS. 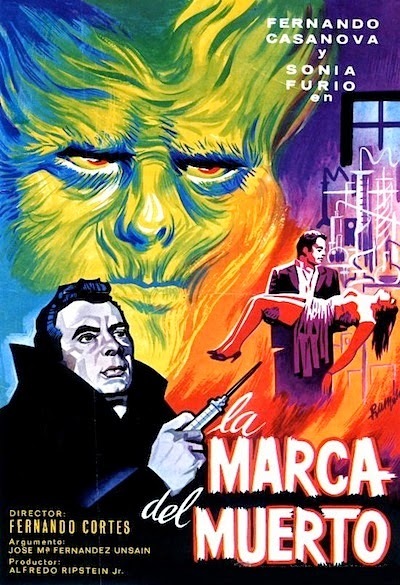 THE SEA MONSTER (1966). After Tsuburaya's death, he was transferred to Toho's new "Visual Planning Department" in 1971. For GODZILLA VS. HEDORAH, both production units were consolidated into one, and Kawakita served as director Yoshimitsu Banno's 1st Assistant Director and on Optical Effects. Kawakita served as Chief Assistant Visual Effects Director on all of the 1970s Godzilla films, save for GODZILLA VS. GIGAN (1972) and GODZILLA VS. MEGALON (1973), while he worked on the television series ULTRAMAN ACE (1972), ZONE FIGHTER (1973), and JAPAN SINKS (1974). In 1976, he made his impressive film debut as Visual Effects Director on SAMURAI IN THE SKY. While Tsuburaya's 1st AD, Teruyoshi Nakano, was the head honcho, Kawakita was placed in charge of developing and directing the monumental miniature and visual effects for SAYONARA JUPITER (1983) and GUNHED (1989), both rivaling some US-produced effects techniques, before changing the way the world saw the Big G with GODZILLA VS. BIOLLANTE (1989). Kawakita's re-imagining of the monster, a fiercer, more toothsome creature, which set a standard that sits to this day, remains Toho's de facto design of choice. During the 1990s, as head of Toho's Visual Effects Department, his tenure yielded a number of films, television productions, non-film projects and events before he retired from Toho in 2002. One of his dreams was to produce a remake of his favorite Toho visual effects film, THE MYSTERIANS, proposed in 1990, which never came to fruition. 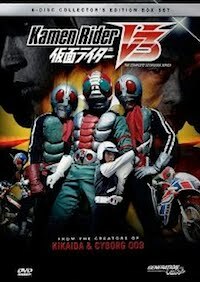 As a free agent, Kawakita formed the independent Tokusatsu and VFX company, Dream Planet Japan in 2003. His last production was the miniseries GUNBOT: THE ARMORED ROBOT (2014), which began broadcast in November. Director Kawakita was 72 years old. THE "JAPANESE GODZILLA" WILL RISE AGAIN! Monster Missing: Last seen in GODZILLA FINAL WARS, 2004. 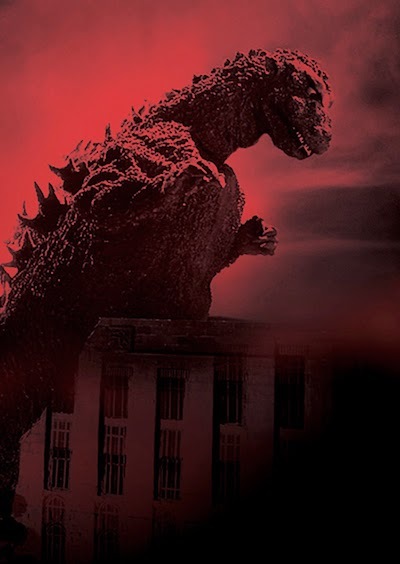 Toho Company Ltd. will be producing an all-new Godzilla film to be released in 2016. 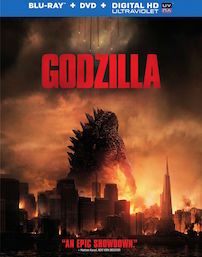 This will be the first “Domestic Godzilla” in 12 years since GODZILLA FINAL WARS (2004). 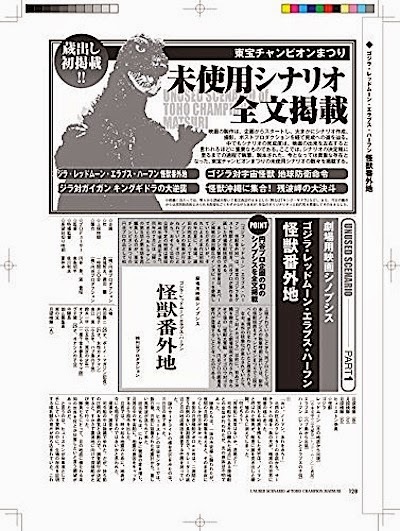 In a press release issued today, Toho announced they’ve launched the “Godzilla Conference” as an organization to discuss and decide a wide range of strategies for promoting the Big G, including, but not limited to motion pictures. The group has also been officially nicknamed, “Godzi-con” (or “Gojikon” in Japanese parlance). Toho vice president and general manager, Satoshi Senda, announced the launch of Godzi-con. 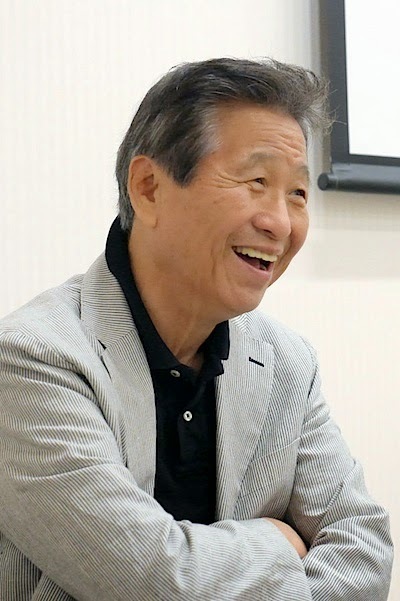 Senda was hired by Toho in 1974, working in the film sales and marketing department, and most recently, was in charge of the foreign sales department. With his fellow board of directors, two younger members of the company, having both worked with visual effects-heavy films, Minami Ichikawa (producer of 13 Assassins) will serve as Production Manager, and Taiji Ueda (producer of Trick: The Movie ~ Last Stage), who will oversee the group as Project Leader, the Big G’s future may be bright, indeed. "With the success of the Hollywood version of GODZILLA, we decided on a new [domestic] production," said Mr. Ueda in today’s press statement. The new production will be handled by Toho, in-house. "The screenplay is currently in development and we plan to start shooting next summer. We cannot announce cast or staff selections at this time. And we’re still deliberating whether to bring Godzilla to life via CGI or man-in-suit,” said Mr. Ueda. "This resurrection will be the centerpiece for ’16, and this is the force of our words." "The passionate voices of the fans clamored for a resurrection [of the Japanese Godzilla]. We will bring the monster back to Japan, with the high-quality we've given films like [Takashi Yamazaki's] PARASYTE (Kiseiju, 2014). By bringing together our collective know-how, which we’ve been striving for [over the last 12 years], we mustn't lose to Hollywood," he said with confidence. The Godzi-con also announced that the Big G will also be looming over Tokyo's Kabukicho district. At the former site of the Shinjuku Koma Theater, demolished in 2009, a 12-meter (39-foot) high "Godzilla Head," made of fiberglass and concrete in his likeness from Takao Okawara’s GODZILLA VS. MOTHRA (1992), will be erected on the 8th floor terrance of the new Shinjuku Toho Building, a 31-floor business and theater complex currently under construction, to be unveiled on April 15th. The head will weigh 80 tonnes and from the top of its crown to the street, from the 8th-floor terrance will be 52 meters (170-feet, around the height of the first Godzilla from 1954), thus becoming a new landmark in the Shinjuku Ward, visible from Shinjuku-Yasukuni Street. Adjacent to the Shinjuku Toho Building, will be the brand-new Hotel Gracery Shinjuku, opening on April 25th, which will be offering a pair of specially-designed "Godzilla Rooms" for its' guests. Mr. Ueda noted that these are just the "first steps" in their new promotion of the Big G, so I guess we can revel in the fact that Godzilla's 60th Anniversary isn't over, it's just beginning! Stay tuned for more news as it breaks… Titanic thanks to master kaiju illustrator par excellence, Yuji Kaida, for tipping me off to the news! 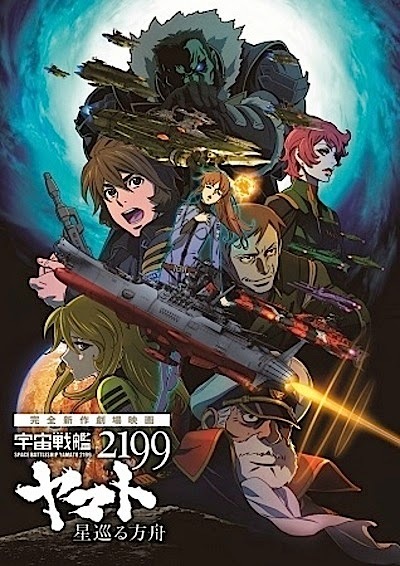 "YAMATO: 2199 ~ ARK OF THE STARS"! Click over to YouTube to watch this video full screen and in 1080p! 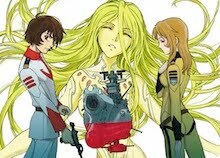 The Shochiku Motion Picture Company has just uploaded the first nine minutes and thirty-three seconds of the highly-anticipated animated feature-length film, SPACE BATTLESHIP YAMATO: 2199 ~ ARK OF THE STARS, opening nationwide in Japan on December 6th. This all-new adventure takes place between Episodes 24 & 25 of the hit remake of the 1974 space opera, in which the Yamato, returning from Iscandar, encounter a vanguard of Imperial Gatlantis (known in the US as the Comet Empire)! Meanwhile, a rouge force of the Gamilas Empire are pursuing her for revenge... Just watch it, already! 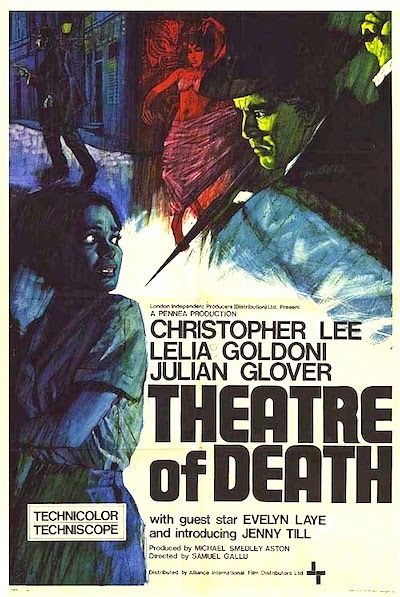 One of the spectacular theatrical images heralding the new film! For the film, composer Akira Miyagawa has penned an instrumental arrangement of the famous theme song, collaborating with world-renown violinist, Taro Hakase, best known outside of Japan for the Celine Dion's song, "To Love You More" (off the album, "Let's Talk About Love"). On December 3rd & 4th (Japan Time), the full feature was previewed for 4,000 lucky Japanese fans over the Bandai Channel streaming service — three full days before the theatrical premiere — but thankfully, Shochiku has kindly allowed fans outside of Japan the chance to preview this first reel of ARK OF THE STARS, so enjoy! Japanese-language only. 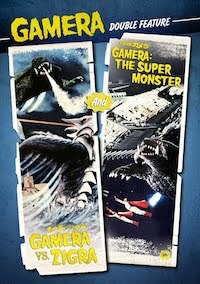 "Godzilla 'Toho Champion Matsuri' Perfection"
Spectacular cover for "the" book on the Godzilla films of the '70s! Finally, the release of a new photo-filled publication, spotlighting the Big G's heroic exploits from 1969-1975, will hit the shelves of Japanese booksellers on November 18th. 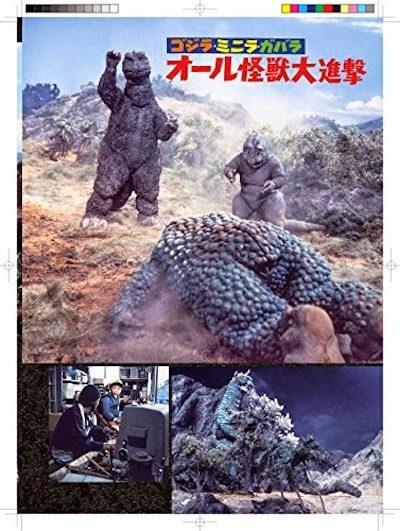 After months of waiting, the juggernaut imprint, Kadokawa Publishing, has just released the cover and samples from this eagerly-awaited, 176-page tome on the oft glossed-over period of Godzilla's cinematic history. Sample page of GODZILLA'S REVENGE (Oru Kaiju Daishingeki, 1969). 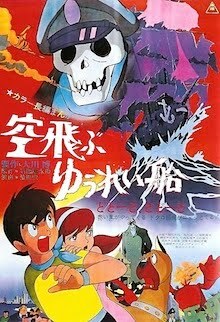 The "Toho Champion Matsuri" (or festival) were a series of kiddie matinee packages, comprising a feature film and short subjects (episodes of live action and animated teleseries), answering rival Toei's seasonal "Cartoon Festivals." 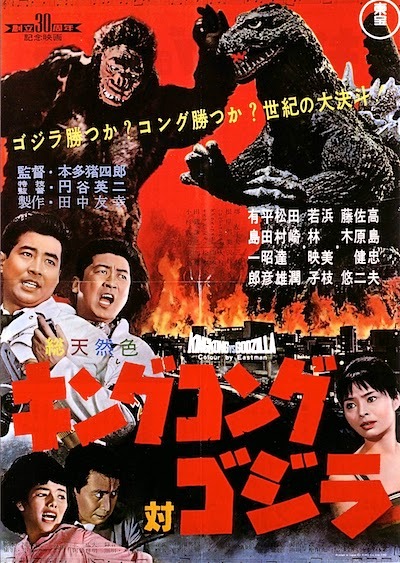 The inaugural program featured Ishiro Honda's MARCH OF THE MONSTERS (released in the US as Godzilla's Revenge and All Monsters Attack) on December 10, 1969. Sample page of GODZILLA VS. GIGAN (Gojira tai Gaigan, 1972). The following Champion Festivals included digest versions of the 1960s Godzilla films, with one all-new production per year, geared squarely at children. 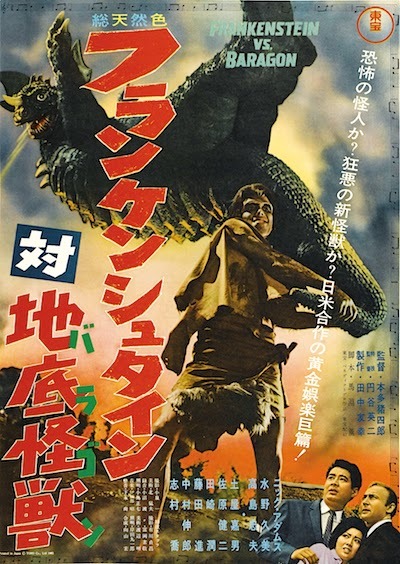 The exception to this rule was Ishiro Honda's GIANT MONSTERS OF THE SOUTH SEAS (known in the US as Yog, Monster from Space and Space Amoeba), a tribute to the late Eiji Tsuburaya recalling Toho's glory days, released on August 1, 1970. GODZILLA VS. MECHAGODZILLA (Gojira tai Mekagojira, 1974). 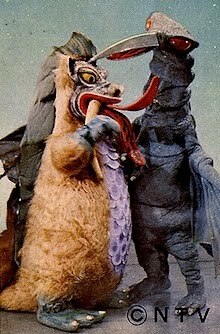 The new series, depicting the Big G as a decidedly heroic defender of the Earth, began in earnest on July 24, 1971, with Yoshimitsu Banno's trippy GODZILLA VS. HEDORAH (released in the US as Godzilla vs. the Smog Monster). The next original feature was Jun Fukuda's far more conventional GODZILLA VS. GIGAN (released in the US as Godzilla on Monster Island), on March 12, 1972. 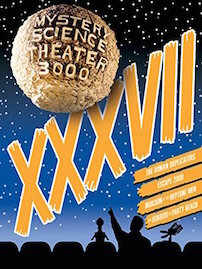 Sections on each of the festivals including promotional materials. 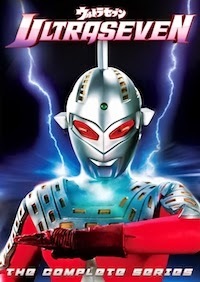 Jun Fukuda's next creature feature, unleashed on March 17, 1973, solidified the Big G's mantle as a kaiju superhero in GODZILLA VS. MEGALO (released in the US as Godzilla vs. Megalon), teaming up in this outlandish, live action cartoon adventure, with an Ultraman-like automaton: Jet Jaguar (or should his name be romanized as "Jet Jaeger"?). 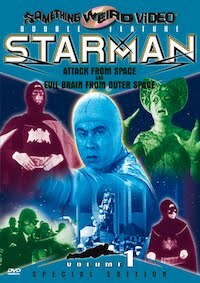 Then, our hero faced his bionic double — from space! Over seven interviews with cast members including Tomoko Ai. Arguably one of the best rivals created during this period was the centerpiece of Toho's 20th Anniversary Big G actioner, GODZILLA VS. MECHAGODZILLA (released in the US as Godzilla vs. Bionic Monster and Godzilla vs. Cosmic Monster) on March 21, 1974. While a more straight-faced production than MEGALO, the space titanium terror would return for a rematch staged by Ishiro Honda. Special interviews with staff personnel including Teruyoshi Nakano. 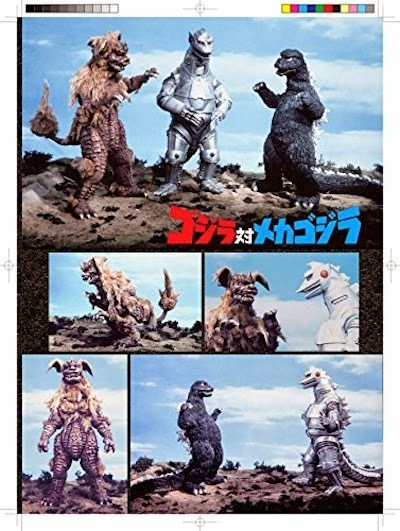 Honda's MECHAGODZILLA STRIKES BACK (released in the US as Terror of Godzilla and Terror of Mechagodzilla) on March 15, 1975 was a fitting swan song for the flagging series, stymied by stiff television competition, which was deluged in free kaiju programming. Even though Honda's film harkened back to the glory days of the 1960s, it was too little, too late. The Big G went on vacation. Archival interviews with late staff personnel including Ishiro Honda. 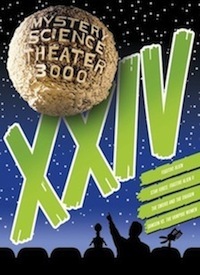 By 1975, the Champion Festivals had gone from seasonal to annual programs which only showcased revivals of the classic films through 1978 (including one Disney line-up featuring Peter Pan in 1976 and a double feature of Latitude Zero and Mothra in 1977), ending with an uncut reissue of Honda's 1957 classic, THE EARTH DEFENSE FORCE (released in the US as The Mysterians) on March 18, 1978. Detailed overviews of four unmade Champion Festival Godzilla films. 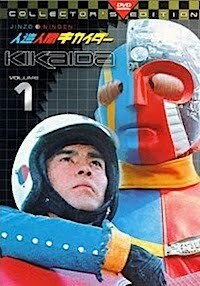 While there have been several in-depth, historical overviews of the Big G's cinematic history, most revere the early, and more favored, films of Honda and Tsuburaya, with cursory coverage of the '70s entries. 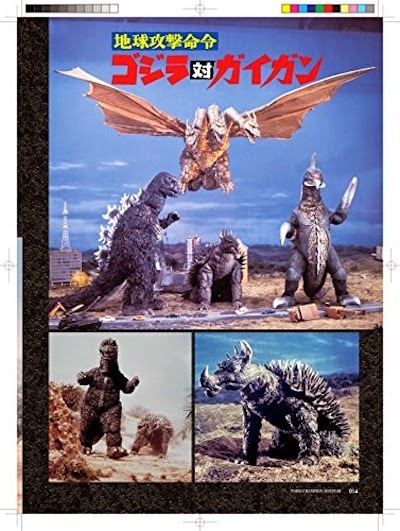 Now, we've got an entire book devoted to them in minutia; a veritable, "Everything You Wanted to Know About the '70s Godzilla, But Were Afraid to Ask" (well, if you can read Japanese, that is)! 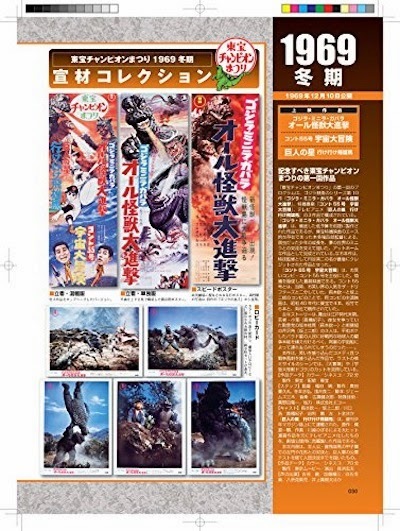 So, if you've seen or own Kadokawa's previous publications of "Heisei Godzilla Perfection" or "Heisei Gamera Perfection", you know how good this one is going to be (jammed with amazing photographs and measuring 11.3"x 8.3"). Fortunately, you don't need to live in Tokyo to get one — pre-order your own copy of "Godzilla 'Toho Champion Matsuri' Perfection" direct from Amazon Japan for only $36.08! You'll thank me later. You're welcome. "GODZILLA" ROARS AGAIN ON VINYL RECORDS! The retro jacket for King Records' GODZILLA Original Soundtrack! For those who were excited by Death Waltz’s limited-edition vinyl LP for the Akira Ifukube original soundtrack for GODZILLA (1954), but lost out on getting a copy, you can now rejoice: Japanese label, King Records is gearing up to issue an analog release of their very own, along with the same for Ifukube’s KING KONG VS. GODZILLA (1962), as the “first complete limited-edition pressings” in Japan, on 180g vinyl LPs, just in time to celebrate both Ifukube’s centennial and the Big G’s 60th anniversary. 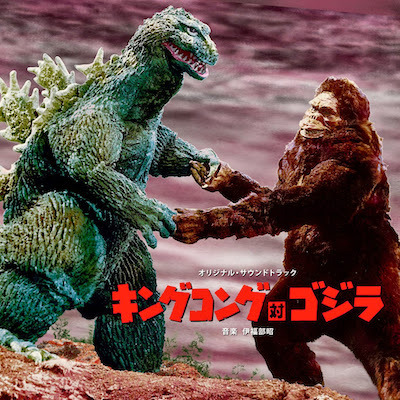 1960s Japanese movie poster vibe for KING KONG VS. GODZILLA! 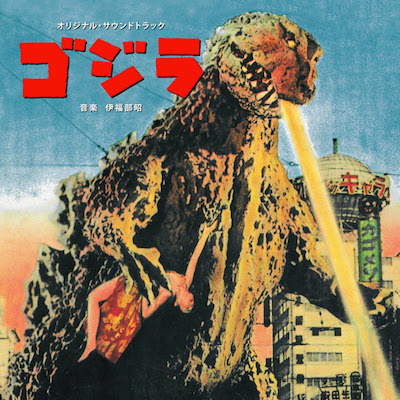 For their first release, GODZILLA (KIJS-90015; 22 tracks, 37 minutes), King Records has gone back to the original 6mm master tapes, and striving for the best-ever sound quality, have employed the latest in mastering technology to match the warmth of the original masters as closely as possible. 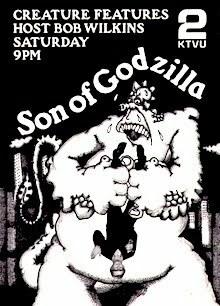 As for KING KONG VS. GODZILLA (KIJS-90016; 33 tracks, 50 minutes), the originals have been mixed down from the unprecedented 4-channel stereophonic masters to 2-channel stereo for the first time. The unique depth of the heavy bass has now been fully and faithfully reproduced for the first time (using the original 35mm film magnetic tapes as a guide). 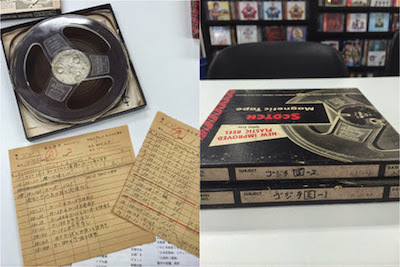 The 6mm master tapes for GODZILLA with the original track listings! 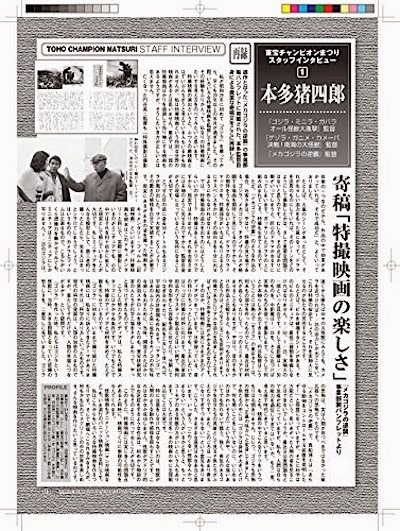 Past and present CD releases, though forms of processing, including equalizing, frequencies, and other digital restrictions, could not fully represent the information native in the master tapes — therefore, the main impetus of the project was to replicate the original sound as closely as possible, in the name of posterity and for the heritage of Japanese film music. 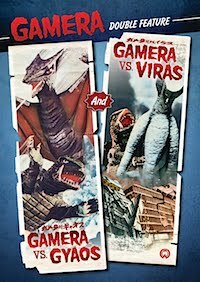 As for the jackets, it was decided to go with a retro-vintage design; GODZILLA sports art that mimics the 1954 theatrical program book, while KING KONG VS. GODZILLA apes the color and feel of the early-to-mid 1960s movie posters. Both LPs will street on December 24, 2014 for ¥3,600 Yen ($32.00 USD). You're not getting older, Big G — you're getting better! Has it really been 60 years since Godzilla was loosened upon the world? I remember when the Big G turned 25 in 1979, and since I was born long after 1954, it felt like he had been around an eternity from my young perspective. There was no time before him from my frame of reference. 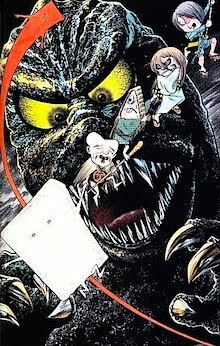 I grew up with Godzilla and he was already eternal. Little did we know that when I was growing up, Godzilla’s time was nigh; the first cycle of films that started in 1954 would be winding down by 1975. How could Godzilla not continue? His popularity in the US was at an all-time high — we still hadn’t gotten any of the films following GODZILLA VS. HEDORAH (1971) — he dominated local television, the pages of Famous Monsters and The Monster Times, and our thoughts. As young Godzilla freaks, we drew pictures, created new monsters, and played with his toys (or made our own from dinosaurs figures) — even using the Aurora plastic model kit — but if you were lucky to live in Hawaii or California, you could buy what the kids in Japan had: 8” tall, soft vinyl “monster dolls” (we used to call them) with the iconic “Bullmark” logo branded on the bottom of their feet. As some of us got older, and remained fans, we organized, we started fan clubs, newsletters, fanzines, and hosted screenings. 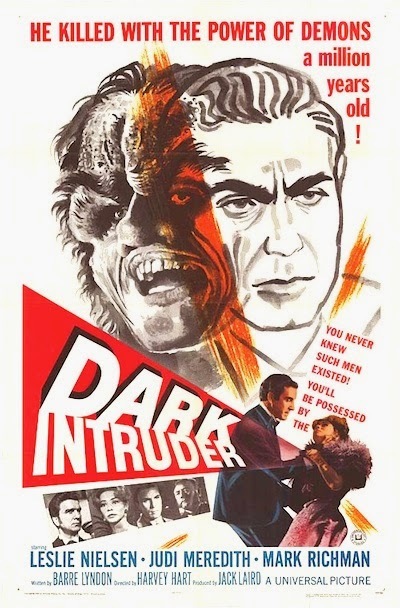 I was lucky to be retained as the “Godzilla/Japanese Film Expert” for our local horror host, Bob Wilkins, who had me talk about these films and television series on his shows, “Creature Features” and “Captain Cosmic,” thus pushing me in this direction. 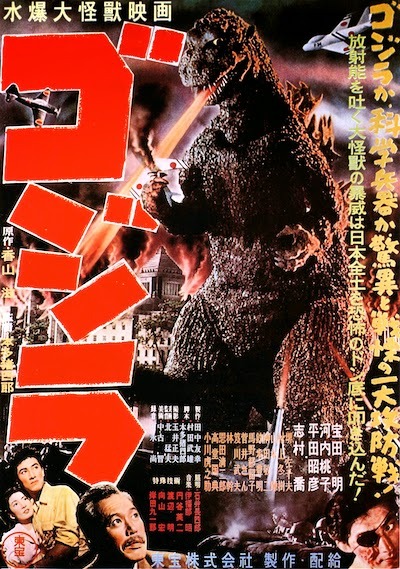 The later films came, starting with GODZILLA VS. MEGALON in 1976 (our nation’s bicentennial), and his fans were legion, making the film a box office hit: There was no doubt that the Big G was the "King of the Monsters." Until the summer of 1977. STAR WARS exploded box office records around the world and Godzilla became an old hat, “So, 'last year. '” Even so, I — and others like me across North America — didn’t give up on our mon-star. Long before the Internet, we kept in contact through letters, fanzines, and phone calls. 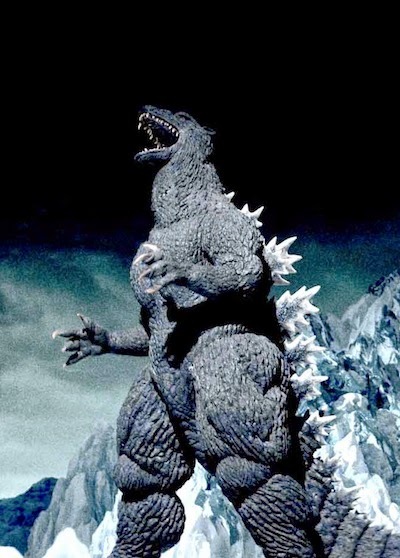 Still, even though Godzilla had been popular, he was looked down upon by many people — whether it was by those who still had a grudge against Japan or science fiction fans who saw the films as subpar — and so those of us who remained loyal, also had to be fiercely protective (not defensive) of the character and the films. There were promises of revival movies that never materialized: “The Resurrection of Godzilla,” “Godzilla vs. the Devil,” and several US attempts, including a semi-remake, “Godzilla, King of the Monsters! 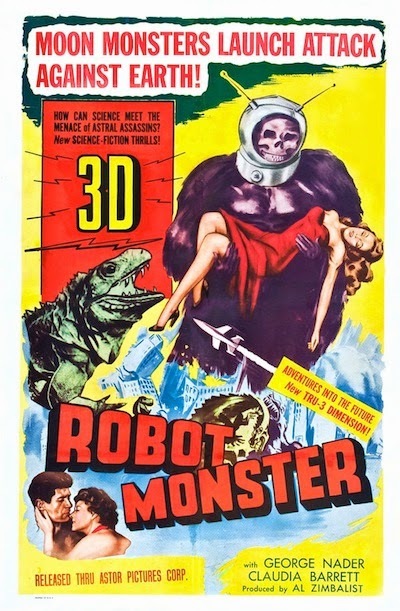 3D” (written by Fred Dekker and to be helmed by Steve Miner, which was more Gorgo than Godzilla). Finally, by the swelling nostalgic popularity at home, with record merchandise and home video sales, Toho announced an all-new Godzilla for 1984… It was a tenuous return, but one that would eventually spawn another thirteen films over the next two decades. In the 1990s, a new generation of US fans discovered the Big G and loved him. Old Timers discovered these new films, and new fanzines sprung up, as well as several conventions devoted to kaiju eiga. This brave new fandom did not fade away, it has become stronger through cable and home video, the web, events and social networks. 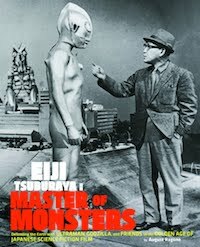 This has also grown to be embraced by those who just love monster movies and fantastic cinema — unscathed by the Roland Emmerich debacle — the reception to both editions of my book, “Eiji Tsuburaya: Master of Monsters” (Chronicle Books) has been phenomenal. New comic books, following in the footstomps those of the ‘70s and ‘90s, have taken off with a new, rabid following. And this summer's megabucks spectacle from Gareth Edwards won hearts and minds across the globe. Everyone seems to have gone gaga for Godzilla. The Big G, kith and kin, have finally become “cool” (but we knew that already). After all, not only is Godzilla the first and greatest true kaiju ever to grace a motion picture screen, he is the one and true "King of the Monsters" — long live the king! 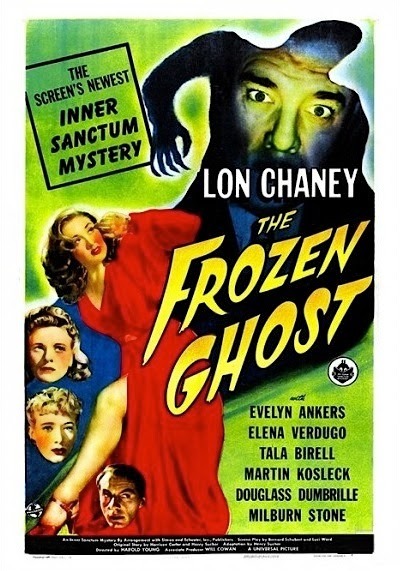 THE 31 DAYS OF HALLOWEEN: DAY 27! KTVU's "Creature Features" presentation on March 3, 1973! 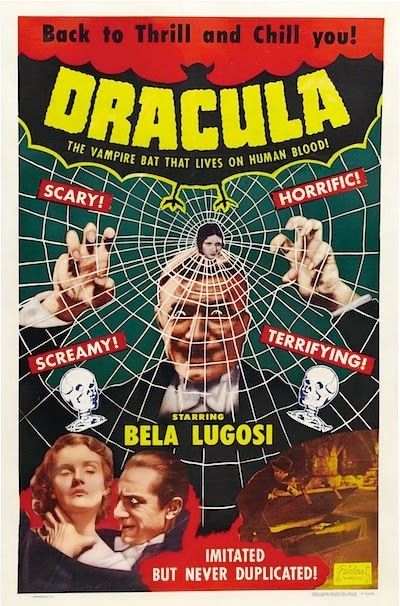 "On the twenty-seventh day of Halloween, my true blood gave to me, twenty-seven ancient demons, twenty-six vampire maidens, twenty-five monkey brains, twenty-four missing corpses, twenty-three bubbling caverns, twenty-two immortal curses, twenty-one bloody vamps, twenty cobwebbed corridors, nineteen bats flying, eighteen butcher chops, seventeen premonitions, sixteen bullets silver, fifteen limbs severed, fourteen Igors fluting, thirteen nightmares tormenting, twelve hunchbacks helping, eleven brains transplanting, ten ghouls feeding, nine yetis chilling, eight mummies crumbling, seven monsters growling, six feathered freaks, five undead things, four maniacs, three evil kisses, two fiendish hands, and an atomic voodoo zombie!" THE 31 DAYS OF HALLOWEEN: DAY 26! KTVU's "Creature Features" presentation on February 10, 1973! 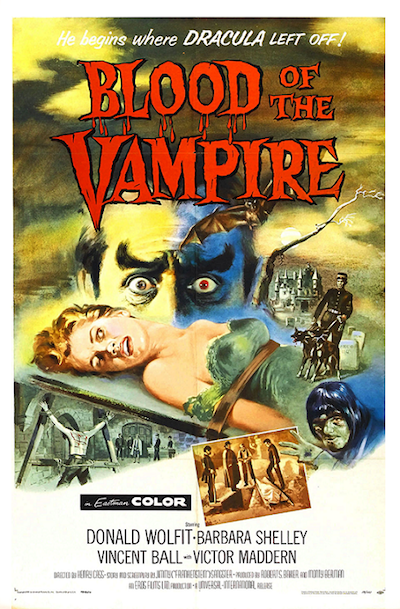 "On the twenty-six day of Halloween, my true blood gave to me, twenty-six vampire maidens, twenty-five monkey brains, twenty-four missing corpses, twenty-three bubbling caverns, twenty-two immortal curses, twenty-one bloody vamps, twenty cobwebbed corridors, nineteen bats flying, eighteen butcher chops, seventeen premonitions, sixteen bullets silver, fifteen limbs severed, fourteen Igors fluting, thirteen nightmares tormenting, twelve hunchbacks helping, eleven brains transplanting, ten ghouls feeding, nine yetis chilling, eight mummies crumbling, seven monsters growling, six feathered freaks, five undead things, four maniacs, three evil kisses, two fiendish hands, and an atomic voodoo zombie!" THE 31 DAYS OF HALLOWEEN: DAY 25! KTVU's "Creature Features" presentation on January 27, 1973! "On the twenty-fifth day of Halloween, my true blood gave to me, twenty-five monkey brains, twenty-four missing corpses, twenty-three bubbling caverns, twenty-two immortal curses, twenty-one bloody vamps, twenty cobwebbed corridors, nineteen bats flying, eighteen butcher chops, seventeen premonitions, sixteen bullets silver, fifteen limbs severed, fourteen Igors fluting, thirteen nightmares tormenting, twelve hunchbacks helping, eleven brains transplanting, ten ghouls feeding, nine yetis chilling, eight mummies crumbling, seven monsters growling, six feathered freaks, five undead things, four maniacs, three evil kisses, two fiendish hands, and an atomic voodoo zombie!" THE 31 DAYS OF HALLOWEEN: DAY 24! KTVU's "Creature Features" presentation on December 30, 1972! "On the twenty-fourth day of Halloween, my true blood gave to me, twenty-four missing corpses, twenty-three bubbling caverns, twenty-two immortal curses, twenty-one bloody vamps, twenty cobwebbed corridors, nineteen bats flying, eighteen butcher chops, seventeen premonitions, sixteen bullets silver, fifteen limbs severed, fourteen Igors fluting, thirteen nightmares tormenting, twelve hunchbacks helping, eleven brains transplanting, ten ghouls feeding, nine yetis chilling, eight mummies crumbling, seven monsters growling, six feathered freaks, five undead things, four maniacs, three evil kisses, two fiendish hands, and an atomic voodoo zombie!" THE 31 DAYS OF HALLOWEEN: DAY 23! KTVU's "Creature Features" presentation on November 4, 1972! "On the twenty-third day of Halloween, my true blood gave to me, twenty-three bubbling caverns, twenty-two immortal curses, twenty-one bloody vamps, twenty cobwebbed corridors, nineteen bats flying, eighteen butcher chops, seventeen premonitions, sixteen bullets silver, fifteen limbs severed, fourteen Igors fluting, thirteen nightmares tormenting, twelve hunchbacks helping, eleven brains transplanting, ten ghouls feeding, nine yetis chilling, eight mummies crumbling, seven monsters growling, six feathered freaks, five undead things, four maniacs, three evil kisses, two fiendish hands, and an atomic voodoo zombie!" THE 31 DAYS OF HALLOWEEN: DAY 22! KTVU's "Creature Features" presentation on October 21, 1972! On the twenty-second day of Halloween, my true blood gave to me, twenty-two immortal curses, twenty-one bloody vamps, twenty cobwebbed corridors, nineteen bats flying, eighteen butcher chops, seventeen premonitions, sixteen bullets silver, fifteen limbs severed, fourteen Igors fluting, thirteen nightmares tormenting, twelve hunchbacks helping, eleven brains transplanting, ten ghouls feeding, nine yetis chilling, eight mummies crumbling, seven monsters growling, six feathered freaks, five undead things, four maniacs, three evil kisses, two fiendish hands, and an atomic voodoo zombie!" THE 31 DAYS OF HALLOWEEN: DAY 21! KTVU's "Creature Features" presentation on September 2, 1972! "On the twenty-first day of Halloween, my true blood gave to me, twenty-one bloody vamps, twenty cobwebbed corridors, nineteen bats flying, eighteen butcher chops, seventeen premonitions, sixteen bullets silver, fifteen limbs severed, fourteen Igors fluting, thirteen nightmares tormenting, twelve hunchbacks helping, eleven brains transplanting, ten ghouls feeding, nine yetis chilling, eight mummies crumbling, seven monsters growling, six feathered freaks, five undead things, four maniacs, three evil kisses, two fiendish hands, and an atomic voodoo zombie!" 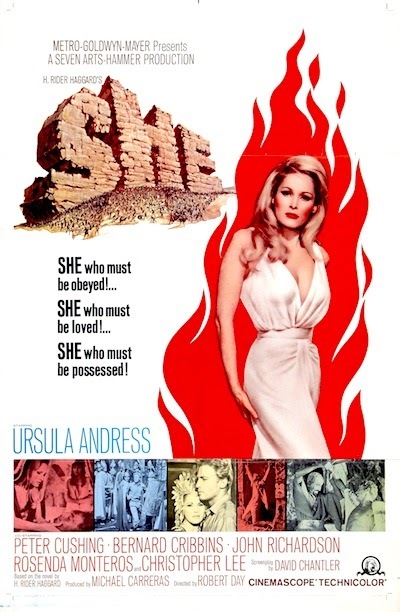 THE 31 DAYS OF HALLOWEEN: DAY 20! KTVU'S "Creature Features" presentation on August 5, 1972! "On the twentieth day of Halloween, my true blood gave to me, twenty cobwebbed corridors, nineteen bats flying, eighteen butcher chops, seventeen premonitions, sixteen bullets silver, fifteen limbs severed, fourteen Igors fluting, thirteen nightmares tormenting, twelve hunchbacks helping, eleven brains transplanting, ten ghouls feeding, nine yetis chilling, eight mummies crumbling, seven monsters growling, six feathered freaks, five undead things, four maniacs, three evil kisses, two fiendish hands, and an atomic voodoo zombie!" 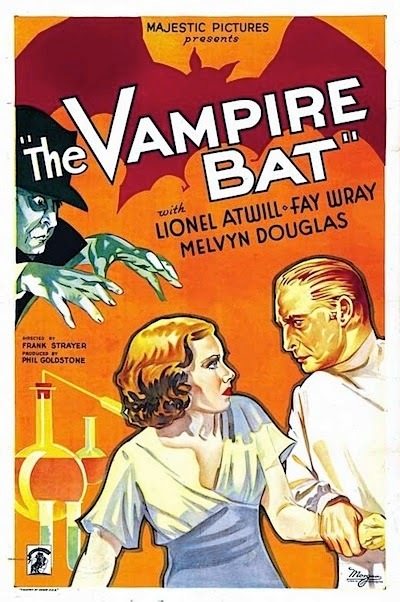 Happy Birthday, Bela Lugosi (born October 20, 1882). 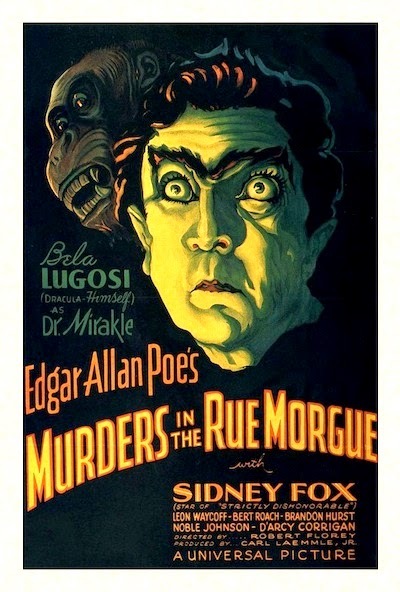 THE 31 DAYS OF HALLOWEEN: DAY 19! KTVU's "Creature Features" presentation on July 22, 1972! "On the nineteenth day of Halloween, my true blood gave to me, nineteen bats flying, eighteen butcher chops, seventeen premonitions, sixteen bullets silver, fifteen limbs severed, fourteen Igors fluting, thirteen nightmares tormenting, twelve hunchbacks helping, eleven brains transplanting, ten ghouls feeding, nine yetis chilling, eight mummies crumbling, seven monsters growling, six feathered freaks, five undead things, four maniacs, three evil kisses, two fiendish hands, and an atomic voodoo zombie!" 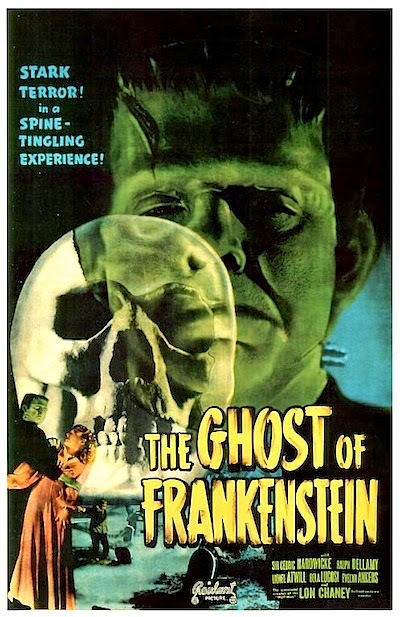 THE 31 DAYS OF HALLOWEEN: DAY 17! KTVU's "Creature Features" presentation on June 17, 1972! "On the seventeenth day of Halloween, my true blood gave to me, seventeen premonitions, sixteen bullets silver, fifteen limbs severed, fourteen Igors fluting, thirteen nightmares tormenting, twelve hunchbacks helping, eleven brains transplanting, ten ghouls feeding, nine yetis chilling, eight mummies crumbling, seven monsters growling, six feathered freaks, five undead things, four maniacs, three evil kisses, two fiendish hands, and an atomic voodoo zombie!" 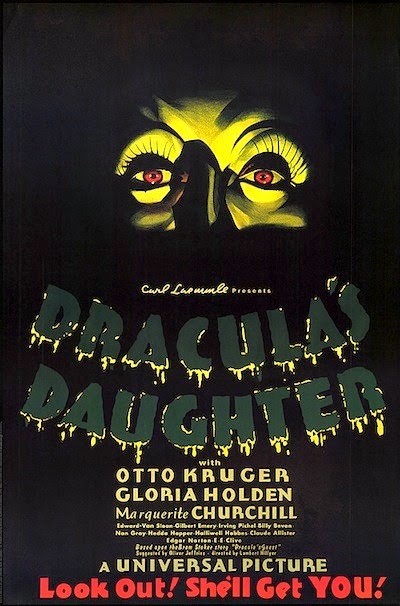 THE 31 DAYS OF HALLOWEEN: DAY 16! KTVU's "Creature Features" presentation on May 27, 1972! "On the sixteenth day of Halloween, my true blood gave to me, sixteen bullets silver, fifteen limbs severed, fourteen Igors fluting, thirteen nightmares tormenting, twelve hunchbacks helping, eleven brains transplanting, ten ghouls feeding, nine yetis chilling, eight mummies crumbling, seven monsters growling, six feathered freaks, five undead things, four maniacs, three evil kisses, two fiendish hands, and an atomic voodoo zombie!" THE 31 DAYS OF HALLOWEEN: DAY 15! KTVU's "Creature Features" presentation on April 8, 1972! "On the fifteenth day of Halloween, my true blood gave to me, fifteen limbs severed, fourteen Igors fluting, thirteen nightmares tormenting, twelve hunchbacks helping, eleven brains transplanting, ten ghouls feeding, nine yetis chilling, eight mummies crumbling, seven monsters growling, six feathered freaks, five undead things, four maniacs, three evil kisses, two fiendish hands, and an atomic voodoo zombie!" THE 31 DAYS OF HALLOWEEN: DAY 14! 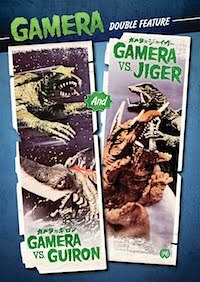 KTVU's "Creature Features" presentation on March 4, 1972! 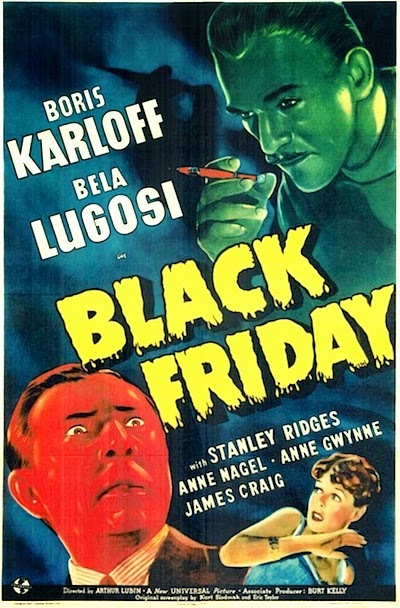 "On the fourteenth day of Halloween, my true blood gave to me, fourteen Igors fluting, thirteen nightmares tormenting, twelve hunchbacks helping, eleven brains transplanting, ten ghouls feeding, nine yetis chilling, eight mummies crumbling, seven monsters growling, six feathered freaks, five undead things, four maniacs, three evil kisses, two fiendish hands, and an atomic voodoo zombie!" 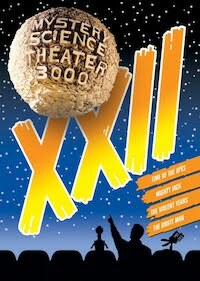 THE 31 DAYS OF HALLOWEEN: DAY 13! 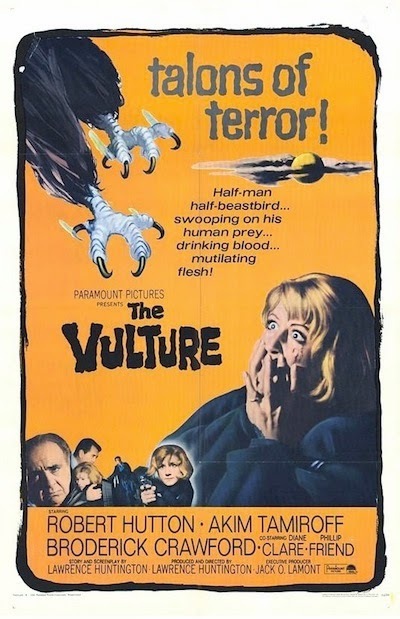 KTVU's "Creature Features Presentation on February 27, 1972! "On the thirteenth day of Halloween, my true blood gave to me, thirteen nightmares tormenting, twelve hunchbacks helping, eleven brains transplanting, ten ghouls feeding, nine yetis chilling, eight mummies crumbling, seven monsters growling, six feathered freaks, five undead things, four maniacs, three evil kisses, two fiendish hands, and an atomic voodoo zombie!" 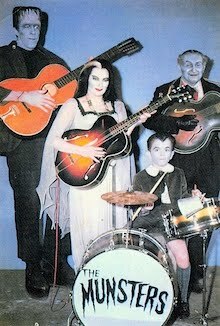 THE 31 DAYS OF HALLOWEEN: DAY 12! KTVU's "Creature Features" presentation on February 12, 1972! 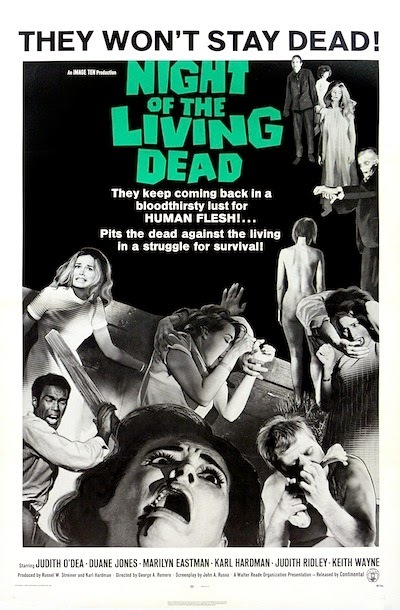 "On the twelfth day of Halloween, my true blood gave to me, twelve hunchbacks helping, eleven brains transplanting, ten ghouls feeding, nine yetis chilling, eight mummies crumbling, seven monsters growling, six feathered freaks, five undead things, four maniacs, three evil kisses, two fiendish hands, and an atomic voodoo zombie!" 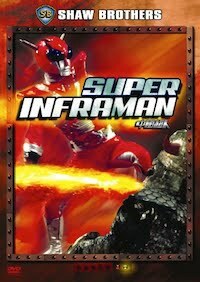 "ULTRAMAN MAX" COMES STREAMING TO THE US! One of the best of the post-1970s series will stream world-wide! 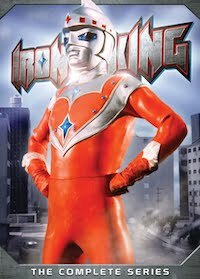 The Ultra Series goes streaming on premier anime streaming site, Crunchyroll, this Monday, October 13th with ULTRAMAN MAX! 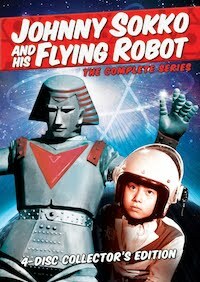 This announcement seems to be a two-sprong strategy by Tsuburaya Productions to breech the US market and establish the brand to English-speaking countries around the world — the first being the "Ultra Hawaii" travel campaign established in the Islands, coupled with the English Subtitled broadcast of ULTRAMAN LEO (1974) on Honolulu's KIKU-TV. The Crunchyroll presentation of ULTRAMAN MAX will be available in the United States, Canada, Latin America, UK, Australia, and New Zealand. DASH agent Kaito Toma (Souta Aoyama) who transforms into Max! 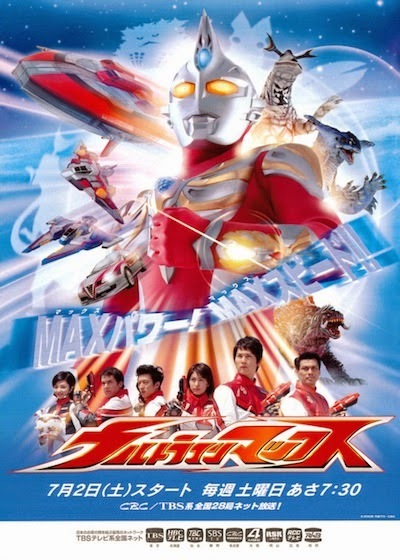 ULTRAMAN MAX was originally aired on Chubu-Nippon Broadcasting from July 2, 2005–April 1, 2006 with 39 episodes (and one "farewell special"), and while following the direction of the modern Ultraman series, such as ULTRAMAN TIGA (1996), also took a step back to its roots with references to the original Ultra Series from the 1960s, ULTRA Q, ULTRAMAN, and ULTRA SEVEN. 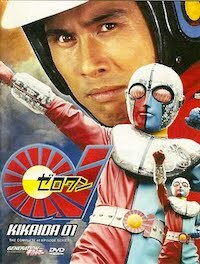 This retro respect also included three actors Susumu Kurobe, Hiroko Sakurai, and Masanori Nihei, who were in the main cast of the original ULTRAMAN — Kurobe played Hayata, Sakurai played Fuji, and Nihei played Ide (Ito in the US version) of the Science Patrol. 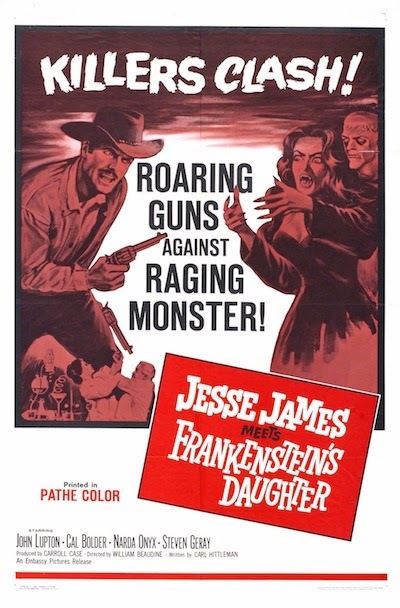 Max gets a chokehold on old-time Ultra Kaiju favorite, Red King! 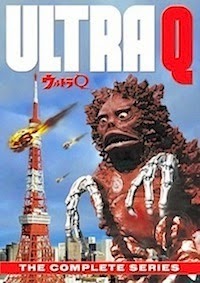 Many of the original Ultra Kaiju were brought back to life for ULTRAMAN MAX, in addition to all-new monsters and alien creatures (with Episode 29 being as a full-blown homage to ULTRA Q), although the series is set in its own unique universe. 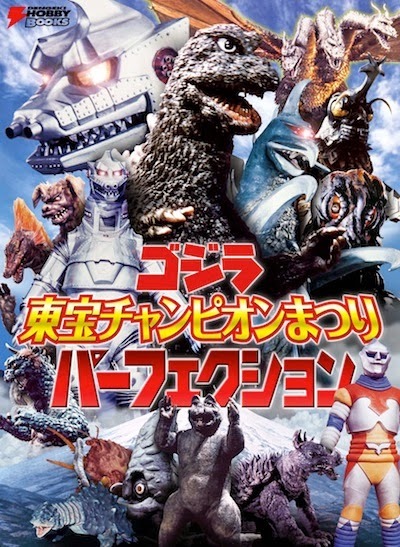 In addition to the familiar monsters, a number of guest stars from the long history of the franchise, including Kenji Sahara (ULTRA Q), Sandayu Dokumamushi (ULTRAMAN), Koji Morisugu (ULTRA SEVEN), Ryu Manatsu (ULTRAMAN LEO). Not to mention original ULTRAMAN directors Toshihiro Iijima (Baltan) and Akio Jissoji (Jamila), as well as modern directors including Shusuke Kaneko (Heisei Gamera Trilogy), Takashi Miike (AUDITION), Hirochika Muraishi (DENJIN ZABOGA) and Takeshi Yagi (ULTRAMAN NEXUS). Director Kaneko behind-the-scenes with actress Hikari Mizushima. 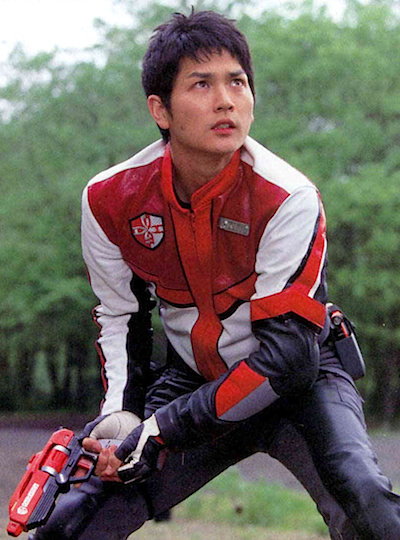 In the very first episode, a strange visitor from space notices Kaito Toma's bravery when the young man risks his own life to help save a lost little boy from danger. 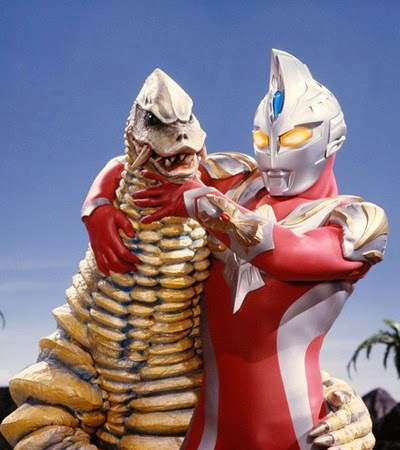 The alien gives Toma (Souta Aoyama) the power to become the mighty superhero Ultraman Max, a towering red and silver giant 40 meters tall. When two gigantic monsters threaten the world, Toma uses his new powers to destroy them. Captain Shigeru Hijikata (Kai Shishido) of Team DASH (Defense Action Squad Heroes), an elite squad of the United Defense Federation, learns of Toma's brave actions and invites him to join Team DASH. To defend from otherworldly dangers, their fantastic arsenal includes the fighter jets DASH Bird 1 and DASH Bird 2, located at their headquarters in Base Titan, a massive off-shore structure in Tokyo Bay. The agents of DASH include Kenjiro Koba (Nobuyuki Ogawa), the hot-headed weapons expert, Mizuki Koishikawa (Hitomi Hasebe), DASH's ace pilot as brave as she is beautiful, American Sean White (Sean Nichols), and Ellie (Hikari Mizushima), who looks like a beautiful girl, but is really a high powered super android, who serves as Team DASH's operations officer. Could this new break in North America lead to a possible DVD or Blu-ray release? 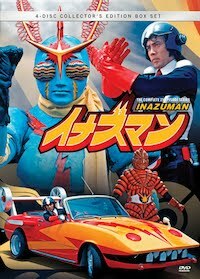 Who knows, but hold fast to your Max Sparks and remember to set your browsers to Crunchyroll this coming Monday and schuwatch ULTRAMAN MAX! THE 31 DAYS OF HALLOWEEN: DAY 10! KTVU's World Television Premiere on January 1, 1972! "On the tenth day of Halloween, my true blood gave to me, ten ghouls feasting, nine yetis chilling, eight mummies crumbling, seven monsters growling, six feathered freaks, five undead things, four maniacs, three evil kisses, two fiendish hands, and an atomic voodoo zombie!" THE 31 DAYS OF HALLOWEEN: DAY 9! KTVU's "Creature Features" presentation on December 4, 1971! 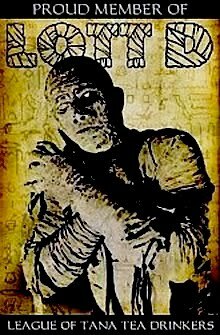 "On the ninth day of Halloween, my true blood gave to me, nine yetis chilling, eight mummies crumbling, seven monsters growling, six feathered freaks, five undead things, four maniacs, three evil kisses, two fiendish hands, and an atomic voodoo zombie!" THE 31 DAYS OF HALLOWEEN: DAY 8! KTVU's "Creature Features" presentation on October 2, 1971! 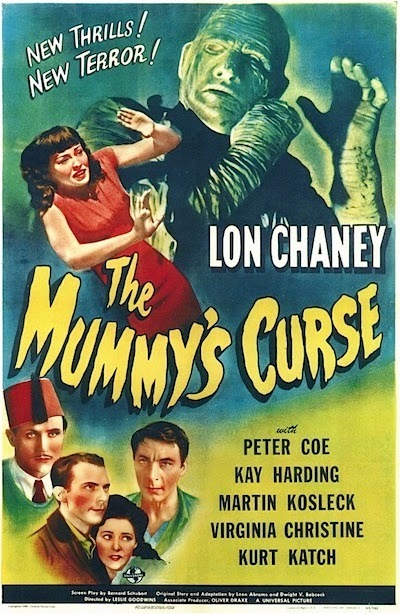 "On the eighth day of Halloween, my true blood gave to me, eight mummies crumbling, seven monsters growling, six feathered freaks, five undead things, four maniacs, three evil kisses, two fiendish hands, and an atomic voodoo zombie!" 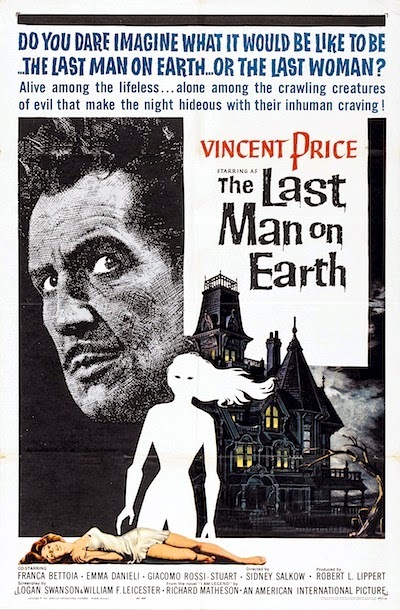 THE 31 DAYS OF HALLOWEEN: DAY 7! KTVU's "Creature Features" presentation on September 18, 1971! "On the seventh day of Halloween, my true blood gave to me, seven monsters growling, six feathered freaks, five undead things, four maniacs, three evil kisses, two fiendish hands, and an atomic voodoo zombie!" 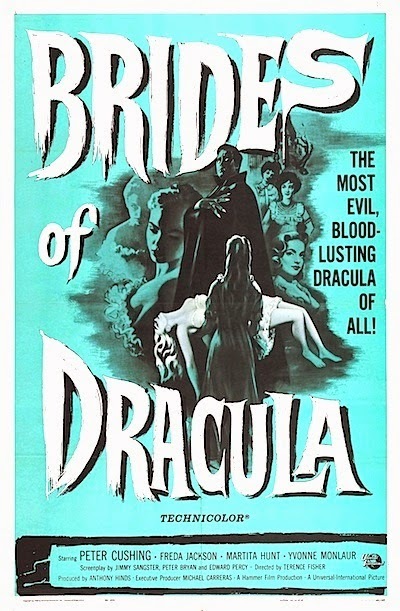 THE 31 DAYS OF HALLOWEEN: DAY 6! KTVU's "Creature Features" presentation on August 21, 1971! 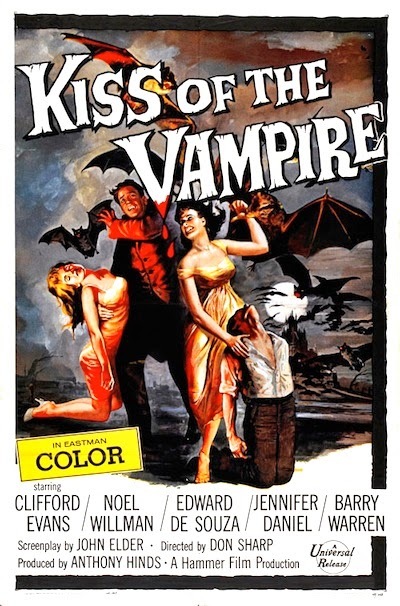 "On the sixth day of Halloween, my true blood gave to me, six feathered freaks, five undead things, four maniacs, three evil kisses, two fiendish hands, and an atomic voodoo zombie!" SCOOP! TOHO DISCOVERS LONG-LOST FOOTAGE! Were original 35mm elements for KING KONG VS. GODZILLA found? While Toho’s Visual Effects films have been run before on the Nihon Eiga Senmon Channel (Japanese Movie Specialty Channel), and this past spring and summer saw a countdown of every Godzilla title on the Satellite Cable station to usher in the domestic release of Gareth Edwards’ GODZILLA (2014), there was more amazing news dropped on their website this past Wednesday morning in Japan, that will be another great cause for kaiju eiga fans across the globe to rejoice. 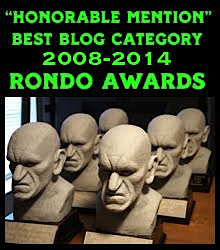 For "Unearthed! 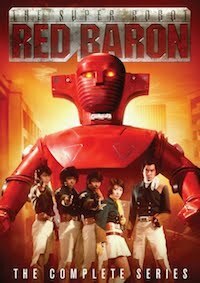 Treasures of Visual Effects Collection," four films will be broadcast during the Big G’s 60th Anniversary — a cross section of Honda and Tsuburaya’s best, which isn't special in of itself, nor the premiere of new HD transfers, but rather that two of the films will be hailed as celebrations in of themselves. One of them, fans have been hoping on for decades, while the other is a completely mind-boggling surprising announcement, which I never saw coming. There's more BATTLE IN OUTER SPACE? OMG, gag me with a SPIP! Here’s the biggest news, first: According to the NESC website, some of the lost negative elements for the full-length theatrical version of KING KONG VS. GODZILLA (1962) have recently been discovered and will be restored for this presentation. 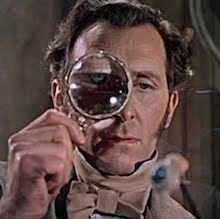 There is no word on when or where the source elements were found, but this is extremely good news since the missing material was previously culled from a worn, anamorphic 16mm print (no "new" scenes have been found or will be incorporated into the film). 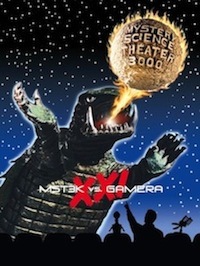 NESC's website stated that while this broadcast will be the premiere of a new, “High Quality” version of KING KONG VS. GODZILLA, it was also announced that the missing footage of this presentation will be non-HD (the NESC stating it's an “up conversion"), so although viewers will see a complete presentation, they're forewarning that it's not a full HD restoration (which is set for a future date). No other details were revealed; just a comment asking fans to be patient. Meh. 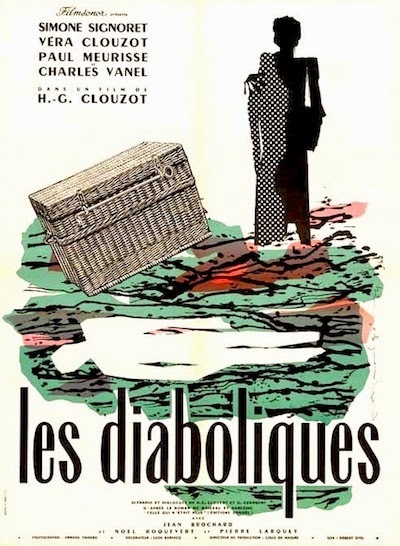 This old movie... again!? Who cares!? It's not even in color! 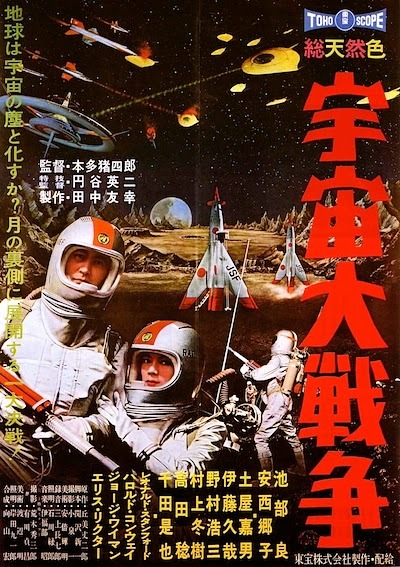 The second big one was dropped in the same announcement and on the same page — and with even less information divulged: Toho has discovered over three minutes of missing footage from BATTLE IN OUTER SPACE (1959), presumably never seen before! 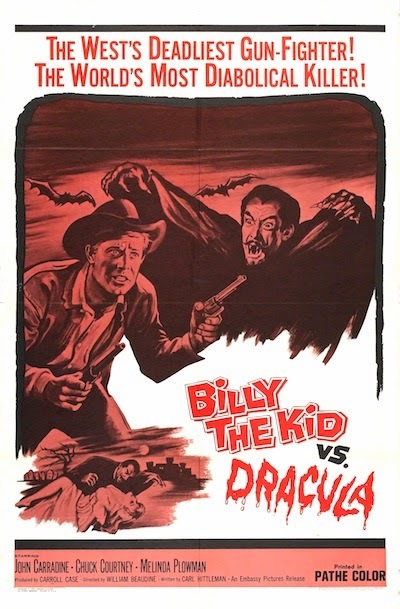 NESC’s website is promoting this as the “Long Version” of the film, boasting a running time of 96 minutes (the running time of the previously released DVD versions run 90 minutes and 13 seconds). Despite what appears to be a discrepancy in running times (which is to be sorted out, I’m sure), this is the discovery that I’m most excited about, as I absolutely am bonkers for this film. 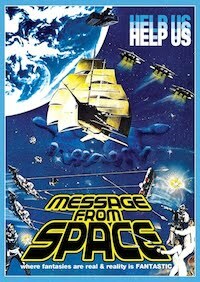 As a kid, it delivered everything the other space pictures promised, but didn’t (or couldn’t deliver on), and in “flaming color and Tohoscope” to boot! Sure, it might not contain any visual effects footage, and it could be just some dialogue scenes, or some exposition that won’t change our lives, but I could care less — I can’t wait! The Amazing Colossal Frankie swings in his first HD transfer! Also running will be the US version of GODZILLA, KING OF THE MONSTERS (1956), originally released theatrically in Japan in a faux “cinemascope” by masking the top and bottom of the 35mm frame. This HD transfer will be the first broadcast ever on television. 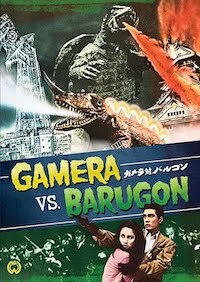 Also making its HD premiere will be the original theatrical version of FRANKENSTEIN VS. BARAGON (1965), aka FRANKENSTEIN CONQUERS THE WORLD, sans the Giant Octopus shot for the export versions. All of the films will be aired on the same day, November 24th (sans the original GODZILLA running on November 3rd and November 24th), for one broadcast only! Those with friends in Japan will probably be pressing them for copies of these broadcasts — a great year to be a fan of these films just got better — you can bet that I’ll be looking forward to seeing them as soon as I can! There is no "new footage" and there are no "new scenes" being added into the film. If you have seen the Japanese version, then you've seen everything. 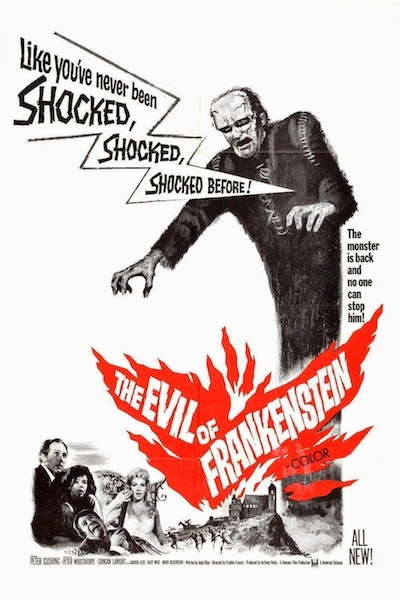 What was found, were the 35mm source elements, which had previously been considered "lost" after the film was shortened for Toho Champion Festival screenings in the '70s. These missing scenes were replaced (for all subsequent Toho Video releases since the '80s) using a 16mm anamorphic print, and the jump in quality was jarring. So, while the there isn't going to be anything "new", it's going to look a lot better.